Citywide Banks FREE COMMUNITY CARNIVAL! Name: Citywide Banks FREE COMMUNITY CARNIVAL! It's officially August, which means it's almost time for the annual FREE COMMUNITY CARNIVAL at Citywide Banks on Coalton Road! 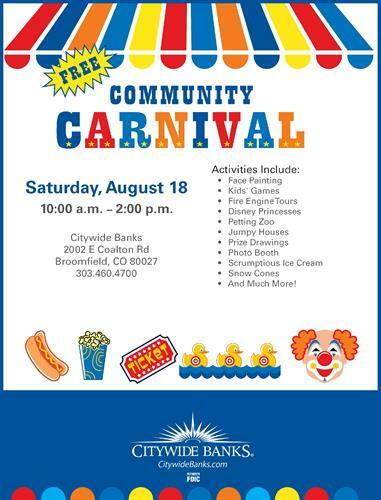 Come by on Saturday, August 18th from 10:00-2:00 for bounce houses, a petting zoo, princesses & pirates, face painting, photo booths, fire engine tours, food and more! Free for anyone in the community so spread the word and we'll see you there!